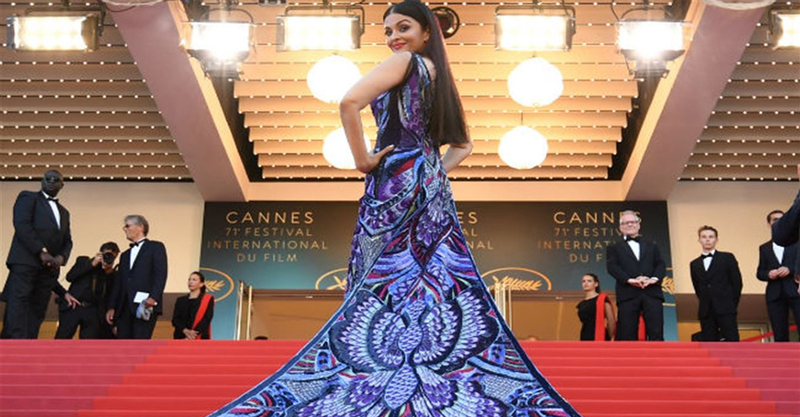 Aishwarya, who clocks her 17th year at the film world this time she came as L’Oreal Paris brand ambassador, took a confident walk with the exquisite three meter train trailing behind and catching the attention of the crowd.She walked the red carpet for the premiere of Eva Husson’s French drama “Les filles du soleil”, starring Iranian actress Golshifteh Farahani. In a pre-red carpet video shared on her newly launched Instagram page ‘aishwaryaraibachchan_arb’, Aishwarya is seen walking along with daughter Aaradhya who is dressed in a red ensemble. The actress is seen helping the little diva do a little twirl. “Circle of life,” Aishwarya captioned the image.